Have you ever seen a dolphin that glows in the dark!? Well, a couple of nights ago we enjoyed the Lunar Eclipse on our way back from San Benedicto to Cabo San Lucas, and it was very special, no it was SPECTACULAR! Right when the eclipse was complete and the moon turned into the Blood Moon, we could see from the bridge something jumping at the bow of the Nautilus Belle Amie, and when we looked over the edge of the boat we couldn’t believe our eyes. The bioluminescence in the water was super bright as the bulb of the boat was breaking the surface of the water, and there was a dolphin swimming just a couple of feet ahead of the boat and we could perfectly see it glowing green and splashing the water like fireworks every time it jumped. The show only lasted for some 10 minutes but it was something we will remember forever, the glowing dolphin and the Blood Moon aboard the Nautilus Belle Amie. Today we had the chance to dive a site called Roca O’Neal on Socorrro Island. It’s a treat because this place is very exposed to the weather so sometimes we can’t come here. 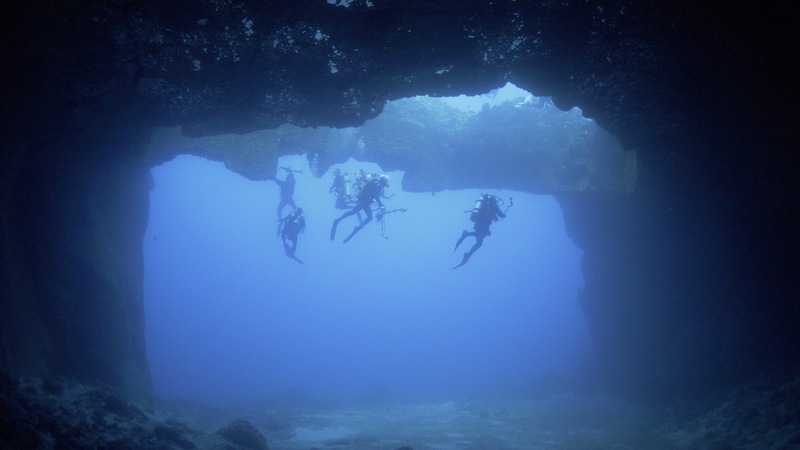 It has a very big swim trough and a beautiful rock arch over a 30meter sandy bottom that forms into a cave with many sting rays and whitetip sharks hanging out. As I pop my head into the crystal clear water to see if we are dropping at the right spot I can already see 2 hammerheads in the blue close to the hole and a big Galapagos shark! Good start!! And sure enough the dive is epic!! More hammerheads and Galapagos sharks, a very friendly manta ray and to top it off, we see a tiger shark cruising in the distance!! What a perfect day at Roca O’Neal! We have just concluded one more trip to Revillagigedo. This week was beyond what our guests could ever imagine. We started in murky water at el Canyon for our first dive day, with some sharks and 4 mantas around. 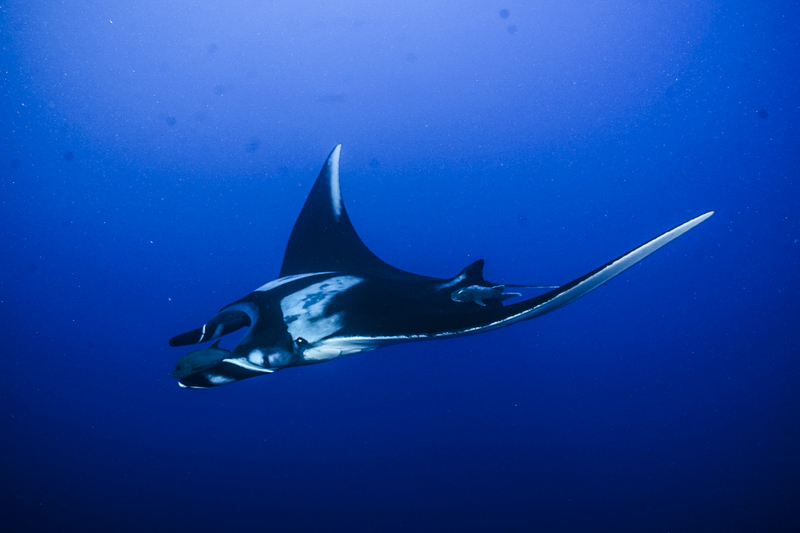 On the second and third dive day we dove in Cabo Pearce, you might be thinking why two days in the same spot, well on 7 of the dives we were able to see more than 8 different mantas, every single dive there were at least 2 to 3 at the same time. On the west side of the lava flow there was a school of hammerheads around, at least in 5 dives one of our group of divers were able to see them. 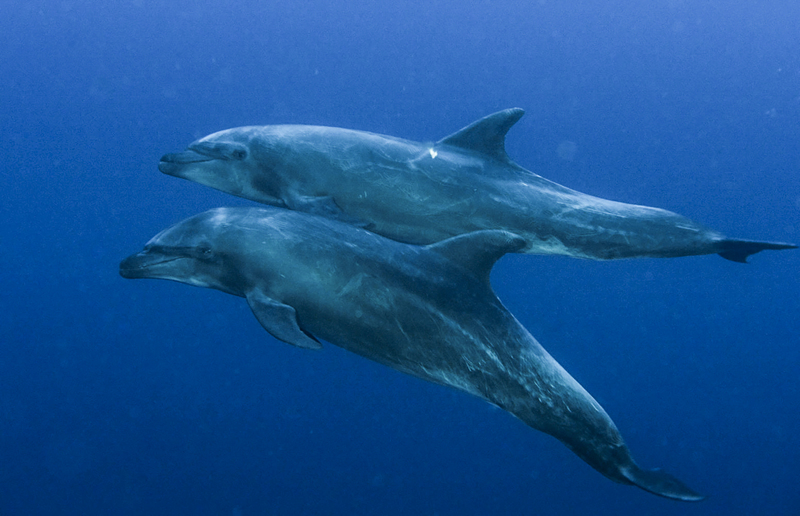 Dolphins could not be missed, on most of the dives they were around, on on dive they even put on a show, interacting with the guests and the mantas. 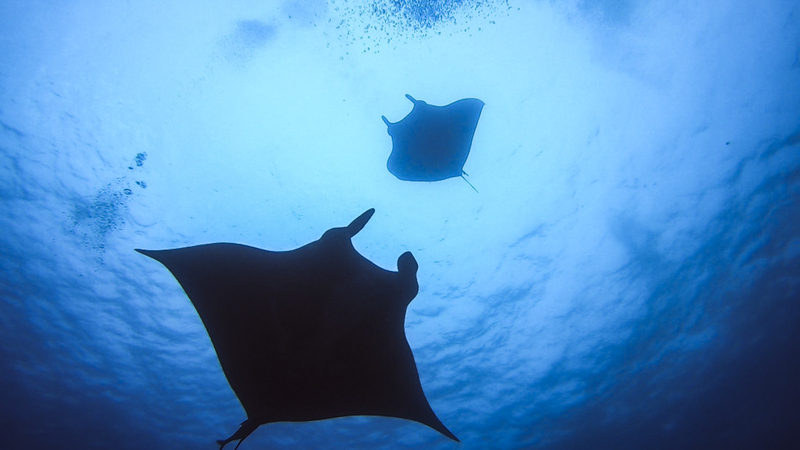 They just kept following the mantas as if they were playing. And finally a Tiger shark over the ridge passed really close to the divers and on at least three dives there was a juvenile whale shark hanging around, all the divers were able to see her and take photos and videos. Cabo Pearce was on fire during those two days. Roca Partida gave us a school of hammerheads, massive yellowfin tunas, big school of bonitos and Galapagos sharks all around. Just when we thought that Cabo Pearce was going to be the top, we got the Boiler in San Benedicto and there are no words to describe the amazing scenario we had on the 4 dives. 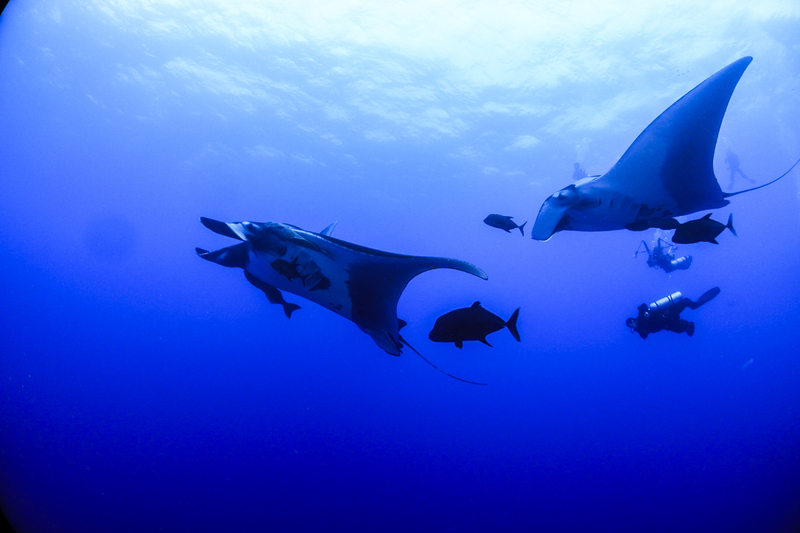 There wasn’t a single dive that we didn’t have at least 6 mantas at the same time!! In the first dive we even had at least 8!!! It was the perfect way to end this trip. Overall we had good sea conditions, currents were present and very strong in el Canyon but was moderate at the other sites. 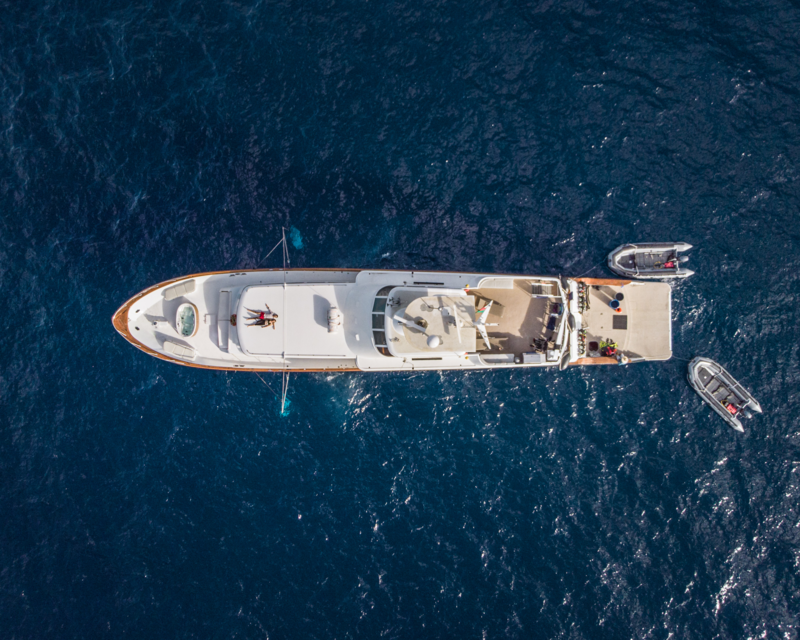 Temperature was about 24°C to 25°C, visibility was murky in el Canyon and the Boiler, but Roca Partida and Cabo Pearce had clear waters above 20m visibility. This trip Cabo Pearce and Boiler were the greatest locations but remember that this is Revillagigedo, and it is continuously changing. Lets see what happens next week! A few days ago, on my last update about the Nautilus Explorer’s adventures here in Revillagigedo Arquipielago, I explained you how awesome and rewarding it is to have a job in which you help people dreams come true. Well, yesterday at Roca Partida, it was me who had a dream come true! We had the incredible chance to swim next to a pod of false killer whales that were jumping and playing around the rock. I honestly don’t have words to describe it, it was just MAGICAL! Everything you can imagine is possible here in Revillagigedo, what other dreams will be waiting for us in our next dives? Good night from the Nautilus Explorer my friends.